UPDATE 4/16: The presentation was very informative with the most important message being: Trap-Neuter-Return is the most effective way to solve the feral cat problem in communities. One unspayed or unneutered cat could in their lifetime be responsible for 300 kittens being born! And if you think trapping a bunch of cats and bringing them to the Peninsula Humane Society is going to solve anything, know that it won’t. It will do the opposite, as there are now more available food sources, drawing new populations of feral cats! 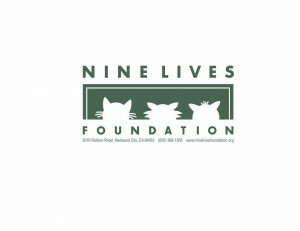 It’s very counterintuitive, but something that Dr. Rutiger, with her 15 years of experience as Head Veterinarian for the Nine Lives Foundation, was adamant about. To pick a trap and start trapping feral cats (which should NEVER be done at night), call the Nine Lives Foundation at (650) 368-1365 or e-mail ninelivesfoundation@gmail.com. More helpful information can be found at Alley Cat Allies (http://www.alleycat.org/). The topic of feral cats in Brisbane began with a meeting back in November hosted by the Brisbane Police Department with volunteers from non-profit cat rescue centers. At the beginning of Monday night’s City Council meeting, Dr. Monica Rudiger will be giving a presentation to the City Council on Brisbane’s feral cat population. Come and hear about the importance of the trap-neuter-return process and how doing so has a positive direct effect on the feral cat population, as well as procedures for how and when to feed feral cats. Dr. Rudiger will also be providing handouts for interested residents to take home. Come and get educated on how the feral cat population in Brisbane can be positively curbed. If you can’t make the meeting, make sure to tune in online via the Live Streaming page or on Comcast Ch. 27. ← Abortions on Grand Avenue?